The National League Division Series gets underway today. The Dodgers are hosting the Braves in a rematch of the 2013 NLDS. The Dodgers offense, as a whole, led the National League in runs scored, home runs, wRC+, walk rate, isolated slugging (.191) and wOBA (.333), and they did so by comfortable margins in all categories. It’s almost unbelievable considering how incredibly inconsistent the offense has been for the majority of the season. 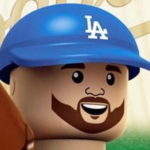 LA was led in home runs by Max Muncy (35), who led in most offensive categories. His 162 wRC+ would have been 5th-best in baseball among players with at least 480 plate appearances (he had 481). Oh, and he’s going to be platooned, which is absurd to think but it could also contribute to the strong numbers. Justin Turner has been on fire since Aug. 7, and he is the anchor of this lineup. Then, it’s a veritable parade of above-average (or better) position players: Joc Pederson (126 wRC+), Yasmani Grandal (125), Yasiel Puig (123), Matt Kemp (122), Manny Machado (121, with LA), Cody Bellinger (120), Enrique Hernandez (118) and Chris Taylor (113). This doesn’t even include David Freese, who has a totally sustainable 210 wRC+ and .619 (!) BABIP. The Braves were no offensive slouches, either. Sure, their wRC+ wasn’t pretty, but they still managed almost four-and-three-quarters runs per game and hit more than a home run per game on average, thanks to elite talents like Freddie Freeman and Ronald Acuna, the latter of whom is all of 20 years old. They even got some production from unexpected sources like Johan Camargo (116 wRC+) and old friend Charlie Culberson (108 wRC+). They also had All-Stars Ozzie Albies (24 home runs, 105 runs scored) and veteran Nick Markakis (114 wRC+). There is some talent on the offensive side of the ball for sure. They’ll be missing their top shortstop in Dansby Swanson. He’s a premium defender, but he didn’t do a ton with the bat in 2018 (80 wRC+). Maybe Culberson playing in place of Swanson is actually a good thing for Atlanta. For all the hand-wringing about the Dodgers’ rotation, the collective group ended up second in baseball in ERA, just 0.03 behind the Astros. They were also second to Houston in FIP. Even with Clayton Kershaw pitching at a good-not-elite level and all the injuries, the rotation was still, arguably, the strongest part of the squad. Hyun-Jin Ryu, when he wasn’t missing time with a groin injury, was pitching like a borderline ace. Walker Buehler emerged once the microfracture in his rib healed, and he won the division-clinching game on Monday. Ross Stripling was an All-Star because of his first-half performance. While he’s going to pitch out of the bullpen in the postseason, he was a big reason the Dodgers were within striking distance of a playoff spot at the break. Kenta Maeda and Alex Wood — both above-average starters — have since moved to the bullpen, while Rich Hill had his ups and downs, but he did have those flashes of brilliance throughout the season. There was a bit of a surprising decision in regard to the rotation. Stunner: Hyun-Jin Ryu will start Game 1, the Dodgers announce. Clayton Kershaw wills tart Game 2. It really is. Kershaw would be pitching on regular rest since he last pitched Saturday in San Francisco. If Ryu didn’t start until Game 2, he would have gone a week between starts, whereas Kershaw gets an extra day of rest before Game 2. It’s a shocking decision, but there is solid reasoning behind it. Walker Buehler will start Game 3 in Atlanta. If there’s a Game 4, it’ll be Rich Hill. The Braves are leading with Mike Foltynewicz, who was the ace of their pitching staff. The resurgent Anibal Sanchez is pitching Game 2 for the Braves. The Game 3 starter could be former Dodger draftee (didn’t sign) Kevin Gausman, Julio Teheran or Sean Newcomb, who came within one out of no-hitting LA back in July. Despite the Dodgers’ struggles in the ‘pen, they have the advantage in almost every category here. The one that stands out most is the HR/9. But September was a solid month for the bullpen. Well, for everyone except Kenley Jansen. The fact that he has struggled since the a-fib diagnosis doesn’t bode well for the postseason. Here’s hoping the adrenaline can help him overcome his late-season struggles. The additions of Alex Wood and Kenta Maeda should help the overall effectiveness of the bullpen. The Braves have some interesting bullpen arms, led by A.J. Minter. He gets strikeouts, allows fly balls and walks a few too many hitters, but he’s one of the best arms in the Atlanta ‘pen. Arodys Vizcaino missed some time this season, but he’s the Braves’ best reliever overall. There are some interesting, hard-throwers from the left side (Max Fried, Jonny Venters), as well as some decent right-handed relievers (Brad Brach, Chad Sobotka, Touki Toussaint). But the Braves’ bullpen is a bit wild and a little more hittable, so that could go a long way to determining the series winner. The Dodgers won the season series 5-2. They scored 35 runs and allowed just 18, but the Braves had the best individual performance, with the aforementioned Newcomb no-hit bid. The Dodgers took 2-of-3 in Los Angeles and 3-of-4 in Atlanta, for what it’s worth. Who’s the one player on each side — not a superstar — who could help determine the outcome of this series? Wood has been an above-average starter for most of his career, but he will pitch out of the bullpen this postseason. He’s good against both-handed hitters and his stuff could play up a touch pitching in shorter outings. With Jansen’s effectiveness not as certain as years’ past, Wood could be the guy who gets more of an opportunity to shine in October. Whether it’s out of the bullpen or in the rotation, Fried has some of the best stuff of any Atlanta pitcher. He drew loose comparisons to Kershaw coming out of high school. In limited action this season, he struck out 31 percent of the batters he faced. He did have a bit of a walk issue (14.1 percent), but he definitely has swing-and-miss stuff. Seeing as guys like Jesse Biddle and Sam Freeman didn’t make the NLDS roster, Fried could be quite the weapon for Atlanta out of the bullpen. These two teams contrast quite a bit. The Dodgers are very veteran and trying to get back to the World Series. The Braves are probably a year ahead of schedule, so you know they’re just happy to be here. But that doesn’t mean the Dodgers should take them lightly. There are some quality veterans, an elite hitter in Freeman and a bonafide superstar in Acuna. The Dodgers should win this series, but if they do, it won’t be easy. First pitch in in 10 hours, 37 minutes. But who’s counting?